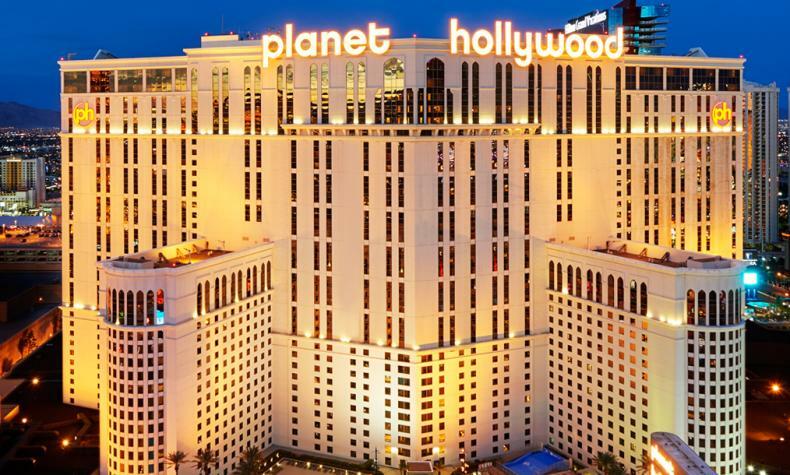 The glamour of Hollywood on the Strip at Planet Hollywood Resort & Casino. Also, home of Café Hollywood, an eclectic cafe open 24/7, Strip House serving traditional steaks, Gordon Ramsay Burger, and renowned Japanese dining at Koi. Off the casino floor lies the Miracle Mile Shops, a shopping mall with retail boutiques and restaurants. There are terrace swimming pools overlooking the Strip; and the Spa by Mandara, with massage, detox treatments, hair and nail salon, and fitness center.